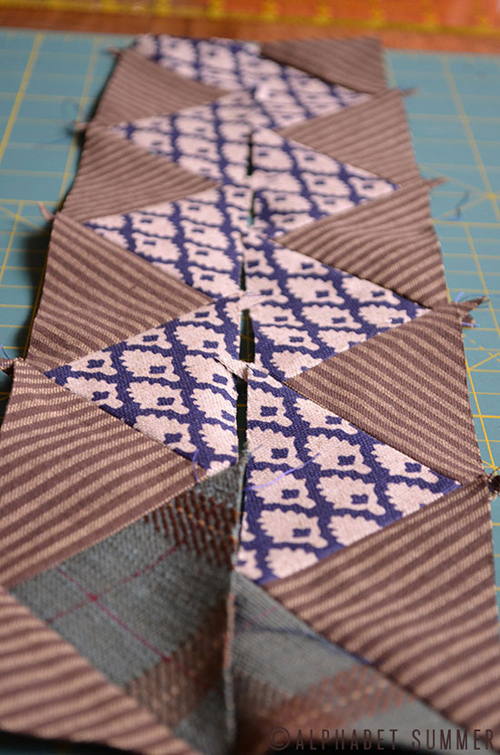 Here’s a terrific triangle tutorial from Ashley Nickels, who blogs over at Alphabet Summer. Such an awesome concept: 26 letters, 26 projects, activities, or destination. In alphabetical order. I need to jump-start my left-brain exercise regimen, and this sounds like a routine I could stick to and enjoy. (I’ll let you know how it goes.) Today Ashley demonstrated how to sew triangles with perfect points, a technique she used for her Z is for Zigzag: Zipper Clutch last month. Ah, to grow up in a quilting household. By default, the sewing machine drew me in as a young person, and is still my favorite tool for creative expression. But, like most sassy teenagers, I was both interested in sewing and a strong-willed/roll-her-eyes kind of daughter, which meant that a lot of extremely useful lessons from my mom around sewing went actively unlearned for many years. As a result (thanks, teenage Ashley! ), I went out into the world and had to learn a lot of things the hard way. I’m here to share a few sewing tips that I learned on my journey. One aspect of sewing that I really love is that it can be freeform. I make a lot of bags, wallets and one-of-a-kind projects that don’t necessarily have to fit a certain body, shape or size. I used to scoff at the term “seam allowance.” Ha! Measure? That’s crazy talk. And then I began quilting. 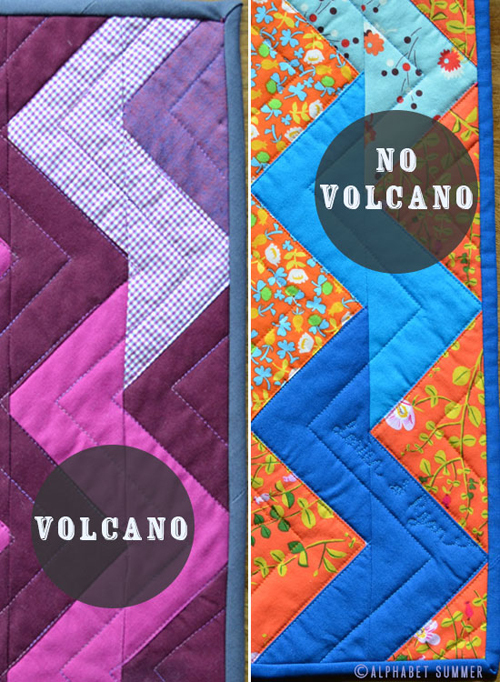 Quilts, my friends, do not allow for such luxuries! You must be precise at every stage. When sewing triangles together to make a zigzag pattern, it’s of utmost importance to respect the quarter-inch seam allowance. Otherwise, you get what I like to call “The Volcano Effect.” Yep, that means that, instead of perfectly pointed mountain tops, the triangles will look more like volcanoes. 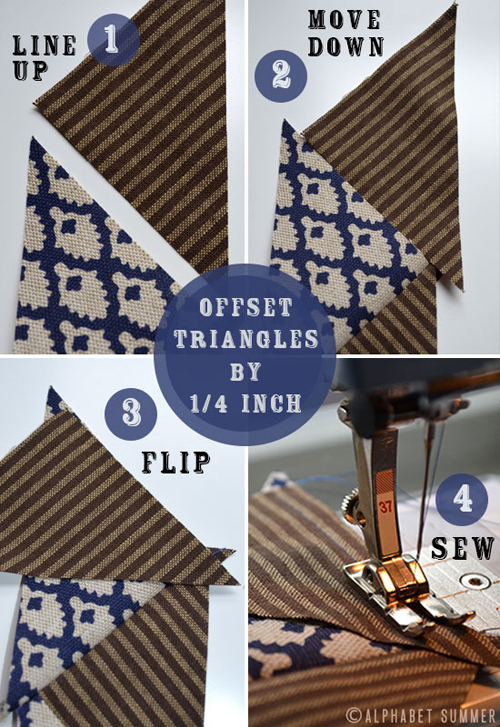 Offsetting your triangles by a quarter inch might seem counterintuitive. 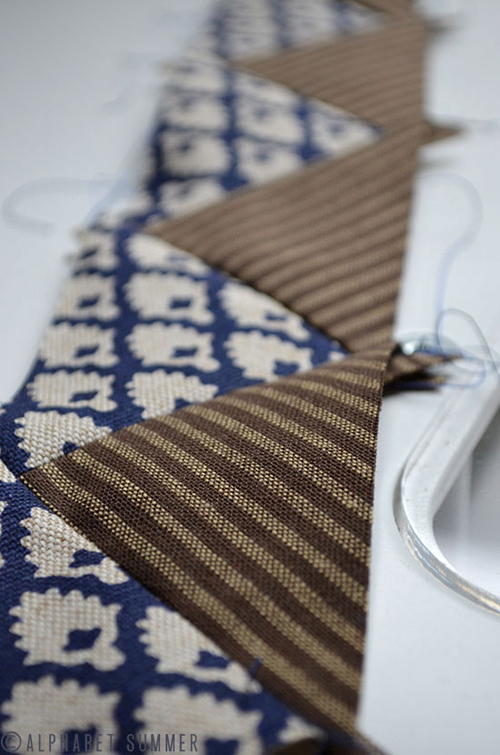 However, if you line up the edges perfectly, your triangle top will be chopped off when you sew the rows together. 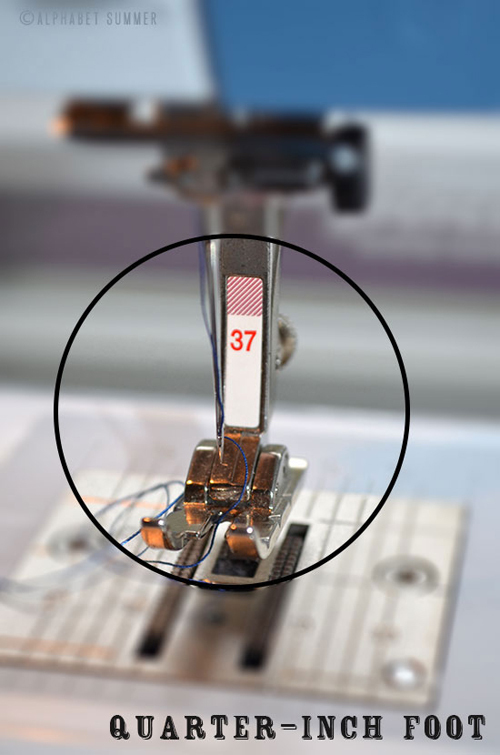 Using a ¼-inch foot (BERNINA Patchwork Foot #37) will help you measure to check that you have the correct seam allowance every time. 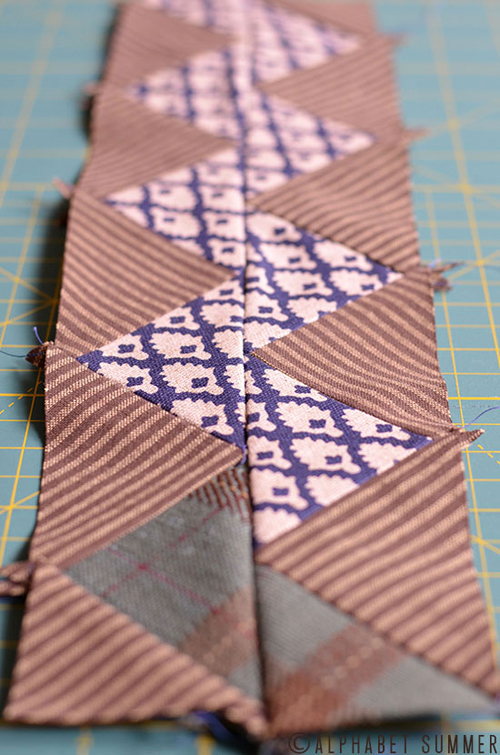 Once you sew all of the triangles together, you’ll have a perfectly measured ¼ inch seam allowance on either side of the strip. Voilà! You avoided “The Volcano” and your triangles are perfectly aligned, giving you an awesome zigzag pattern. Though she was born a long, long time ago… Your mother should know. I know mine does! For more on this project, which turns itself into a zipper clutch, check out my blog at http://alphabetsummer.com/. 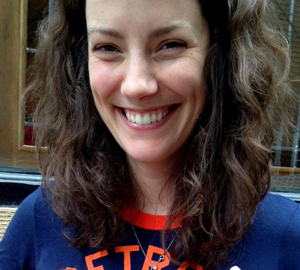 Ashley is a teacher, blogger and general maker of things. Growing up surrounded by quilters, she began “selectively apprenticing” with her quilter mother (Sue Nickels) at a young age, making a fabulously boxy skirt from a yard of tulle and a piece of elastic. You can read about her current sewing escapades at www.alphabetsummer.com. Previous Previous post: Meet Rocie! He Loves His New “Healthy Hammock” Lizard-Friendly Salad Bar!